This poster shows basic first aid procedures. 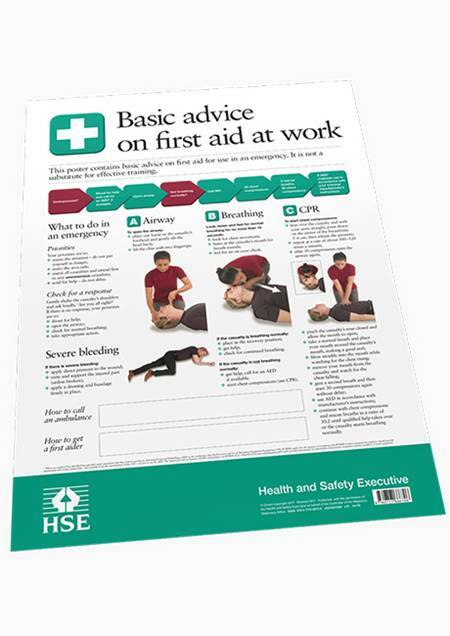 There is also a leaflet on basic first aid and a poster on first aid for electric shocks. It incorporates recommendations from the European Resuscitation Council on resuscitation and first aid, and is aimed primarily at employees.